Scarborough Borough Council has purchased the Travelodge Hotel building in central Scarborough in line with their policy to acquire high quality commercial property investments, particularly in their local area. The 140 bedroom hotel is in a prime hotel location on St Nicholas Cliff, above the town’s South Bay. It is let to Travelodge for an unexpired term of almost 30 years, with 5 yearly rent reviews linked to uncapped movements in RPI. Following the September 2018 rent review the purchase is expected to show a net return of close to 6%. Richard Bradley, Scarborough Borough Council Commercial Director said: "This is our first major investment since adopting our Commercial Property Investment Strategy earlier in the year. The strategy focuses on acquiring commercial property investments that can result in positive financial returns for the council to help support our public service delivery. The purchase of the Travelodge Hotel building was an ideal opportunity for us and we will continue to seek other investment opportunities going forward." The vendor was a private client of Lewis & Partners and Knight Frank. Scarborough Borough Council was advised by Edgerley Simpson Howe and NJB Hotels & Leisure Property. KFIM’s Long Income Property Unit Trust, advised by NJBHLP, has completed its acquisition of this Ipswich Premier Inn, following detailed due diligence, in a transaction conducted totally off-market. The key central town location (in Key Street!) of this modern, purpose built Premier Inn hotel, is identified in its name, as the closest budget hotel to the ‘town centre’, but a few steps to the Ipswich ‘quayside’ waterfront at Neptune Marina, a vibrant business, education and leisure destination alongside a working port. Premier Inn Quayside has 85 bedrooms, a Thyme restaurant in-house, two dedicated car parks and the potential to extend. The hotel is also very prominently sited. Nick Barber of NJBHLP, who acted for KFIM, described the hotel as being ‘a great addition’, with the Premier Inn covenant being ‘much sought after by long income funds’, adding, “We were delighted to source such an acquisition off-market and to be afforded fair opportunity by the vendor’s team to complete our research”. The sellers, Barings, were advised by JLL. NJBHLP has acted as joint advisor with ADS to pension fund manager KFIM in the acquisition of the brand new ‘Travelodge London Dagenham’, constructed in a highly prominent position adjacent the A13 trunk road, which runs parallel with the north side of the River Thames, linking London with the M25 and Dartford Crossing, and on to Southend-on-Sea. The hotel, which includes its own bar café and dedicated parking, sits within the London East Leisure Park, where other occupiers include Vue Cinema, Hollywood Bowl and Gym Group. The investment was acquired off a guide price in the region of 5%. Newly opened in May 2018 with 77 rooms, Travelodge Dagenham is immediately being expanded to 82 bedrooms, by extension in to adjacent retail space on the ground floor. DTZ Investors, fund manager of the National Grid UK Pension Scheme, has completed on the purchase of Combined and International House, Kingston upon Thames. The asset includes two 10 storey buildings and a shopping mall comprising 144,200 sq ft of hotel and retail accommodation plus a 366-space multi-storey car park. The two hotels are let to Premier Inn and Travelodge, with retail units let to Argos, Poundland and Aldi. The car park is leased to NCP. The acquisition provides the Fund with a well-diversified income stream, with c.55% of the income being derived from the two hotels, 35% from the retail units and 10% from the car park. Peter O’Gorman, Fund Manager at DTZ Investors commented, “This asset will deliver a sustainable income stream, whilst providing good growth potential at minimal risk”. NJBHLP was instructed as a consultant by DTZ Investors, advising on the ‘Premier Inn London Kingston upon Thames’ and ‘Travelodge Kingston upon Thames Central’ elements. LONDON, 25 January 2018 – Cordatus Property Trust (“CPT”) has acquired a 53-bedroom Travelodge Hotel in Gosforth, Newcastle upon Tyne as its latest addition to the fund in an off-market purchase. 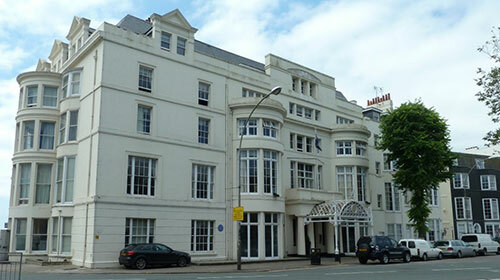 Cordatus purchased the hotel at Rotary Way, Gosforth, from Compass Estate Co (a private syndicate) paying £4,650,000. The price reflects a net initial yield of approximately 5.25%. In line with its development of a balanced portfolio spanning freehold/leasehold assets and locations right across the UK, Cordatus has acquired the long leasehold on the Gosforth site which is let to Travelodge on a 25-year lease with RPI linked rent reviews, and trades as a successful hotel under the brand’s management. Ereira Mendoza and NJB Hotels & Leisure Property acted for Cordatus. Heywood & Partners acted for the vendor. It’s been buoyant year in the UK corporate hotels sector, the mainstay of the NJBHLP business, having advised on acquisitions and disposals of hotels on both the business transfer and the investments sides of property, with some confidential consultancy projects as well. Publicity is not always permitted, but where it is, there are snippets below. If it’s a hotel in the UK, with a brand (or potential), NJBHLP can probably help; as the year closes, institutional grade hotel investments are in the greatest demand (if you know of any available?). A less successful year running wise! Never fit enough to take on a marathon in 2017, I felt quite good for about 12 hours post the excellent ‘Leek’ in August, a tough and scenic road half marathon that climbs some 1200 ft and in to the Peak District National Park. Unable to walk the following day, I have learned a lot about ‘miniscus’ and ‘bursa’ since! So best feet forward to 2018, and with good wishes to all. TWO TRAVELODGE ACQUISITIONS IN AUGUST, WITH A 1,000% PRICING DIFFERENTIAL! NJBHLP was joint advisor on two entirely separate acquisitions of hotel investments let to Travelodge, yet covering most of the pricing spectrum, with a smaller provincial lot guiding at just under £4.7 million and a more substantial central London asset quoting over £47 million. A 202 bedroom budget hotel led investment in a vibrant, prominent and well-connected central London location, with long income and beneficial rent review alternatives, NJBHLP was joint advisor to Lothbury Investment Management in a highly competitive marketplace transaction. A busy and successful 71 bedroom Travelodge operation, with trade from both the historic market town and a key M5 motorway exit, acquired effectively off-market, NJHLP jointly advising Cordatus Real Estate. NJBHLP has acted for the vendors in the business sale of Oxfordshire’s Witney Lakes Resort to The Club Company. Located on the edge of the Cotswolds, Witney Lakes Resort opened in 1993. Health & Fitness facilities and a Spa were added in 1999. The complex has a stunning 18 hole Lakeland-style golf course, state-of- the-art leisure facilities including a gym, studio, swimming pool, steam room and sauna, as well as a spa and health and beauty treatment rooms. One of the reasons that specialist Nick Barber of NJBHLP was brought in to advise the vendors in the sale is the site also has protected planning permission for an 86-bedroom hotel. Commenting on the acquisition, Thierry Delsol, Chief Executive of The Club Company, said: "We are delighted to announce the purchase of Witney Lakes Resort. This acquisition fits perfectly with our expansion strategy, in pursuing organic and external growth. We are really excited about the acquisition and are looking forward to working with the team and the members there". With the acquisition of Witney Lakes Resort, The Club Company now has 13 clubs in its portfolio, all located around the UK. 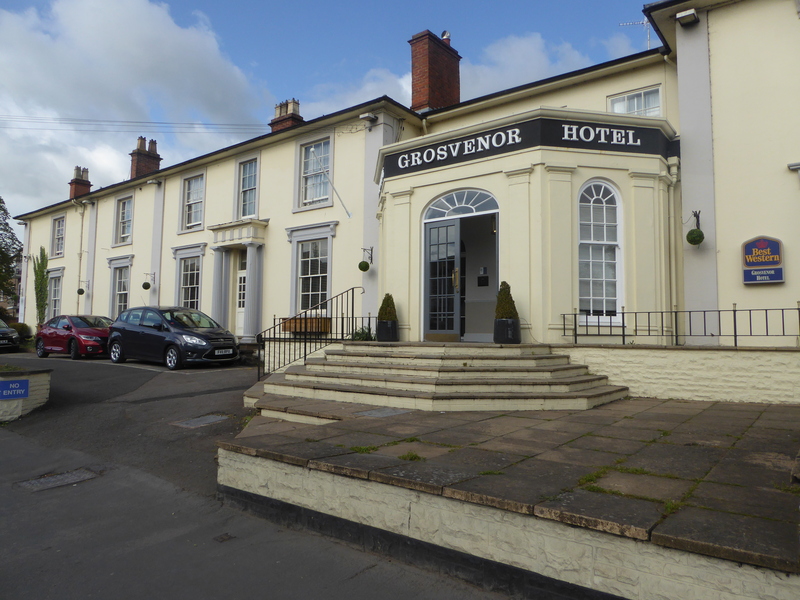 LONDON, April 2017 – JLL’s Hotels & Hospitality Group has sold the Best Western Grosvenor Hotel in Stratford-upon-Avon to Bright Hotels Limited for an undisclosed sum. The property is a Grade II listed building comprising 73 en-suite guest bedrooms, five meeting and conference rooms, a restaurant with lounge, bar and drawing room and onsite parking for 50 vehicles. The hotel is a short walk from Stratford-upon-Avon’s town centre, a renowned tourist area, which attracts in the region of five million visitors per annum. Gavin Wright, Director, JLL’s Hotels & Hospitality Group said: “We received significant interest in this asset due to its sought-after location. Since the property came to the market we conducted numerous viewings and received multiple bids. Bright Hotels Limited was represented by Nick Barber from NJB Hotels & Leisure Property. 2016 was also the fifth year of trading for NJBHLP, which we marked with a brand re-fresh, replacing our original blue & red scheme with ‘team colours’ in claret, together with updated logos. Travelodge went from strength to strength during 2016, finishing the year with a new and refurbished estate of 538 UK hotels and over 40,000 bedrooms, and a ‘That’s Travelodgical’ TV advertising campaign ringing in the sector’s ears. These and other factors contributed to making Travelodge hotels an increasingly attractive institutional investment, and for which NJBHLP acted jointly in the acquisition of the 96 bedroom Travelodge Central in Maidenhead, for pension fund clients of DTZ Investors. Comments Nick Barber of NJBHLP, “Not for nothing is this Travelodge named ‘Maidenhead Central’, for the key factor here is location, the hotel being situated immediately opposite Maidenhead railway station, where Crossrail is an imminent addition to a long established and busy junction on the Paddington to Reading mainline. (For proximity, my photo below was taken from a station platform). Add a prosperous town in Maidenhead, relatively limited competition and superb motorway links, making this both a highly successful ‘central’ hotel and an attractive property investment”. NJBHLP acted ‘off-market’ in the 2016 acquisition of the hotel & spa regularly ranked as no. 1 in Bournemouth on Trip Advisor, the 80 bedroom, 4 star, ‘Best Western Plus, The Connaught Hotel’. Nick Barber was aware in 2016 that Bournemouth’s Connaught Hotel was available to purchase - with absolute discretion - and he held a concurrent private clients’ search requirement for a corporate hotel located south of the M4 motorway, to add to an existing portfolio. Nick was able to match NJBHLP’s acquisition client with The Connaught’s owner and advisor, before going on to negotiate the transfer of the business. Comments Nick Barber, “Off-market deals such as this can be attractive to both owners and buyers, particularly when considering the continuing operation of the hotel business throughout the process, so it was particularly pleasing here that the market knew nothing of this deal until after completion. A varied and interesting 2015 was capped off when NJBHLP secured the opportunity for the Youth Hostels Association (YHA England & Wales) to acquire the virtual freehold interest of YHA Brighton, which completed in December. This stage concluded the YHA acquisition journey for the property, which began in 2012 when Nick Barber identified the former Royal York Hotel, then in Administration, as ideal in terms of size and location for conversion to a Youth Hostel. The initial deals (reported in Spring 2014 News below) were for acquisition by Development Securities and leasing of the hotel elements to YHA; following a successful partnership and refurbishment of the residential parts by the owner (now known as U and I Group plc), YHA was able to buy in the long leasehold interest from its landlord. YHA is a renowned charitable organisation founded in 1930, “To help all, especially young people of limited means…. by providing hostels or other simple accommodation for them in their travels…..” NJBHLP is retained by YHA in its search for central properties in key destination cities. 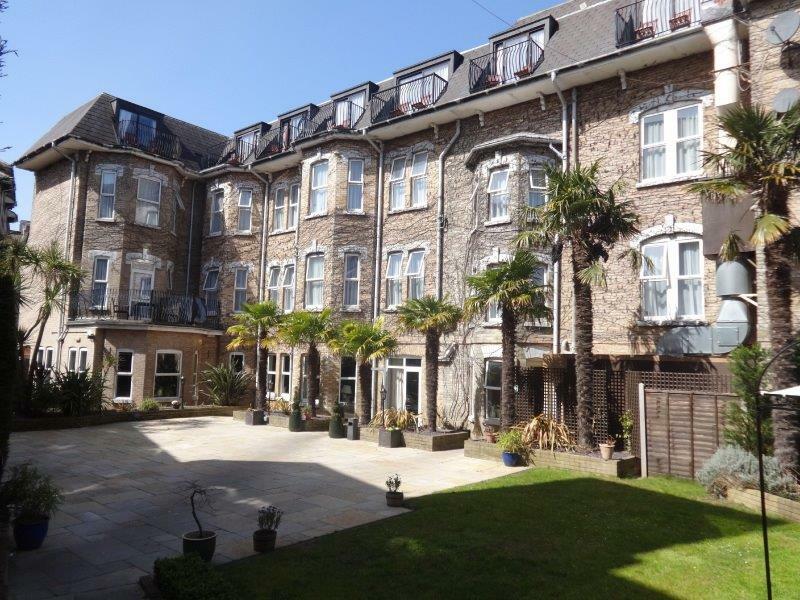 NJBHLP was joint advisor to LaSalle Investment Management’s coal industry funds in the acquisition of this 170 bedroom, freehold Exeter hotel investment, let to UK wide (and international) mid-market operator, Jurys Inn, acquired from developer McAleer & Rushe in July. During 2015 we saw six UK Jurys Inns offered to the market and for which individual yields sharpened significantly as the year progressed. We think this was due in part to continuing confidence in the hotels sector but also through the active asset management of its hotel estates by Jurys Inn owner, Amaris Hospitality. This saw a number of long established and highly regarded city properties re-branded to Jurys Inn - examples being the former Parc Hotel in Cardiff and the Oxford Hotel – thereby enhancing the brand presence of Jurys Inn in the UK. A three day diversion in November 2015 was provided by a Planning Inquiry which concerned the future of a hotel located in a highly attractive Kent town. Our news here is necessarily limited, due to confidentiality of the case – please contact Nick Barber for further details regarding preparation of Hotel Viability Reports as part of the planning permission process. Having prepared a draft news item for this investment acquisition by LaSalle Investment Management (LIM) sometime previously, we are pleased to announce completion of the purchase within our news for 2015, terms for this forward purchase having been first agreed in 2013! However, a highly visible, new build hotel in a key but challenging location construction wise, being immediately adjacent the London Overground railway lines and Walthamstow Central station, meant a longer completion than originally envisaged. 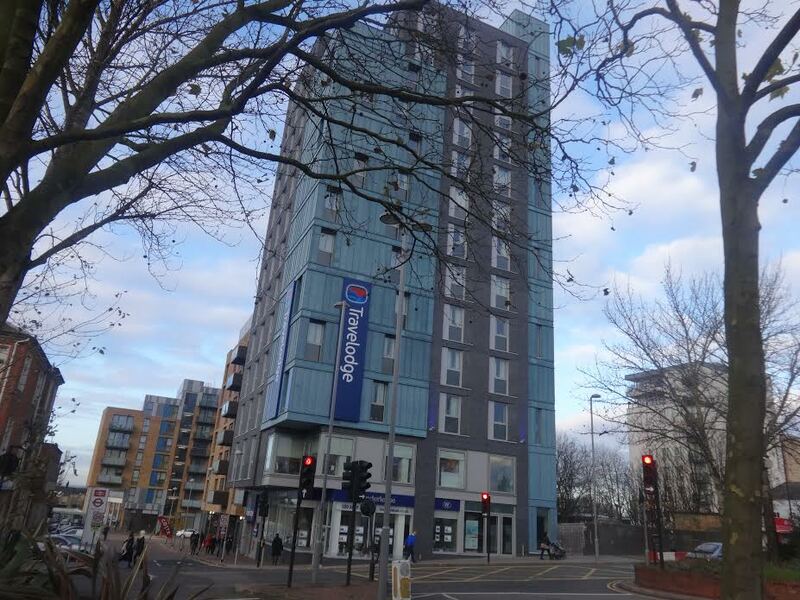 NJBHLP was joint acquisition advisor for this 107 bedroom Travelodge hotel, which completed in June. NJBHLP were delighted to welcome Travelodge as a new client in 2014, when we were asked to advise on airport hotel options, ahead of this year’s Airports Commission recommendation to the Government, on where a new runway for London and the south east should be built. We also continue to work closely with Travelodge’s development team in connection with pension fund acquisitions of Travelodge hotel investments. Following the purchase of Travelodge Hemel Hempstead Gateway (Spring 2014 News above) NJBHLP were joint advisors to LaSalle Investment Management in the July 2014 acquisition of the Travelodge London Barking, upon behalf of the Royal Mail Pension Fund. The 66 bedroom hotel in the heart of Barking town centre is an iconic and highly visible property, with its multi-coloured cladding. Travelodge is one of the largest hotel operators in the UK, with 501 hotels and 37,048 bedrooms (at December 2014). The Barking property is one of 58 Travelodge hotels in London. As the retained advisor to the Youth Hostels Association (England & Wales) for its acquisitions drive in key UK provincial cities, NJBHLP were involved in another success in 2014, when YHA purchased the 100 bedroom Mercure Cardiff Centre Hotel. 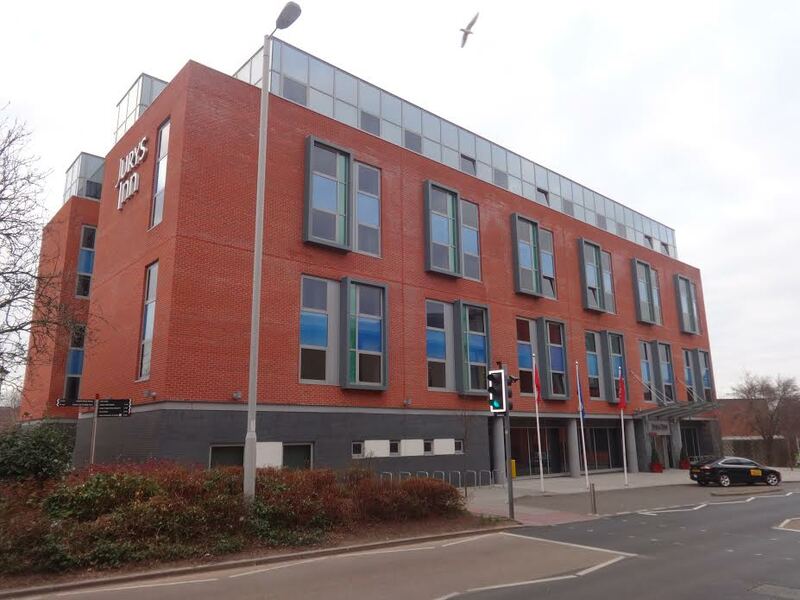 The property is currently being re-fitted as a Youth Hostel and will open as ‘YHA Cardiff Central’ in March 2015. The Cardiff acquisition follows that of YHA Brighton (Spring 2014 News above) in being a conversion of a full service hotel; indeed both Cardiff, as a ‘Mercure’ and Brighton, once a ‘Radisson SAS’, had enjoyed international brand affiliation. PS: And NJBHLP also introduced MOR Lodge in Newquay, Cornwall to YHA, which led to this independent hostel joining YHA Enterprise in 2014, providing access to YHA’s reservations systems. 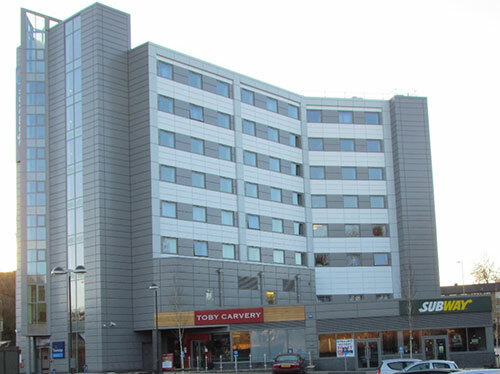 NJBHLP jointly brokered the ‘off-market’ acquisition of this 210 budget hotel in the vibrant Media City area of Manchester by a division of BP Pension Fund, which completed in October 2014. The hotel enjoys a prominent position fronting Trafford Road and close to such attractions as Manchester United, the Lowry Centre and the Imperial War Musuem, as well as the BBC and other Media City occupiers. The acquisition was reported by Costar on 13th November 2014 and published in the property press. Weary budget travellers will be putting their heads down in a distinctly upmarket location when they stay at the new Brighton Youth Hostel this summer. 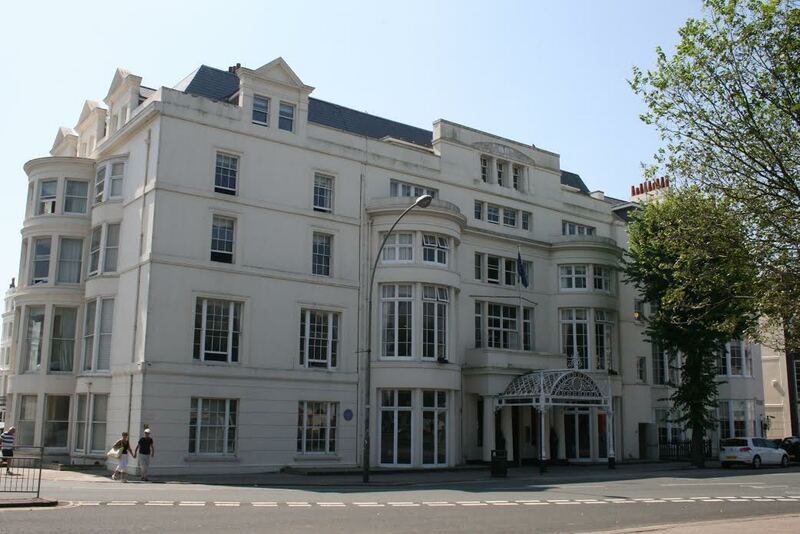 Thanks to a creative recommendation from adviser Nick Barber, the Youth Hostels Association (YHA) will now be operating from a central Brighton location, converting the 51-bed former Royal York Hotel to a 200-bed youth hostel. "We identified the Royal York as the perfect Brighton location for YHA because it was a highly visible building close to the seafront and pier, with excellent transport links nearby. It was also the right size to convert to a 200-bed hostel," said Nick Barber, owner of NJB Hotels & Leisure Property. Originally opened as a boutique hotel, the Royal York was trading recently under the four-star 'Radisson Blu' brand. In a two-stage transaction overseen by NJB, the complete building was acquired by Development Securities in February 2014, with the core hotel property being leased to YHA (England & Wales) on institutional terms. It opens as the newly-refurbished Brighton Youth Hostel in summer 2014. NJB is the retained adviser to the YHA in their search for hostel premises in key UK provincial cities, with a specific brief to find central sites for conversion to state-of-the-art youth hostels. The new Brighton hostel meets this brief as previously the YHA operated on the outskirts of the city, at Patcham. "Here at NJB we feel this represents a real find upon behalf of YHA and we are excited to have fulfilled the brief so thoroughly. This deal brings value to both partners and looking to the future, to YHA guests as well," said Nick Barber. 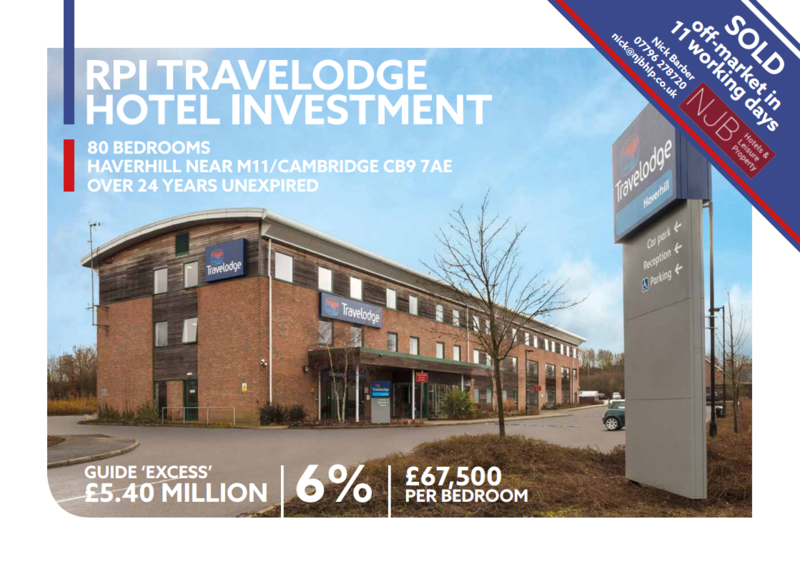 Location, location, location is set to pay dividends for this pension fund investment in a Travelodge with great transport links, made following advice from NJB. Strategically located directly off Junction 8 of the M1 - and just seven miles from the Harry Potter World attraction - the Travelodge Hemel Hempstead Gateway is a newly built 108-bed hotel opened in 2012 and now owned by the Mineworkers Pension Fund. NJB acted for LaSalle Investment Management, who made the purchase on behalf of the fund, with Nick Barber providing hotel competitor set analysis alongside operational and rental advice. The hotel, an imposing tower structure, is leased by Travelodge and the investment is complemented by a Toby Carvery pub and food retail units. Boosting the value of the location to investors is its appeal to both business traveller and tourist markets, according to Nick Barber. The M25 is in close proximity, Luton Airport is a short drive away and there are also excellent public transport links on top of the wizard Harry Potter connection at Warner Bros. Studios in nearby Leavesden. "At acquisition, Travelodge were reporting very high occupancy levels in only Year Two trading, supporting the pension fund purchase of this impressive property and accessible location," said NJB's Nick Barber. "This investment with its combination of pragmatic business custom alongside guests brought in by local attractions should prove magical."